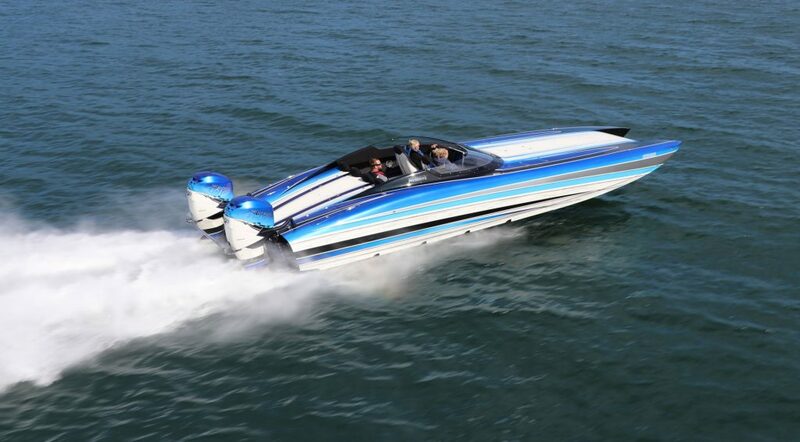 Home Features Boating News 197 MPH in the 1000 Islands and More to Go. 197 MPH in the 1000 Islands and More to Go. 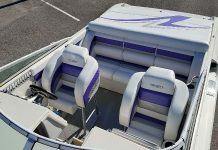 Over the past many years, Poker Runs America has run official kilo speed records for family boats, center consoles and poker run boats in the past. 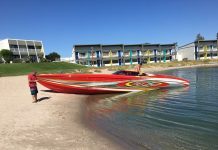 The events were staged on the slippery and fast waters of the famous Pamilco River, home of Fountain Powerboats and the legendary Reggie Fountain. 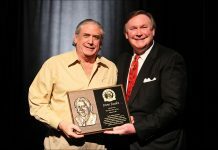 Those records were officially documented by Poker Runs America Magazine and the APRA sanctioning body, which included Sonny Hawkins (also an APBA official) from Tiger Performance, William Beccaro, Reggie Fountain and Brian Ross of Snap-On Tools, among others. 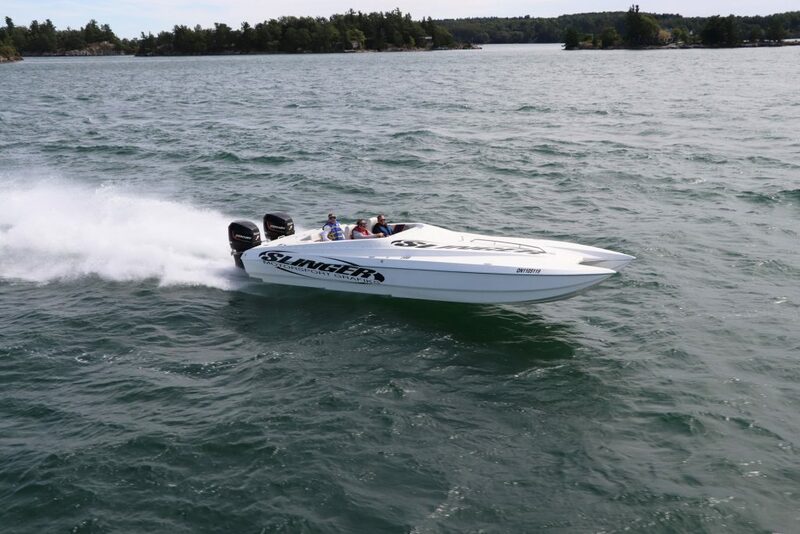 This year on September 7-9, Poker Runs America was pleased to bring the speed trial concept back, and the original home of the 1000 Islands Poker Run was deemed to be a fitting venue for the trials. Unfortunately, the weekend of the speed trials weather proved to be less than ideal for speed runs. 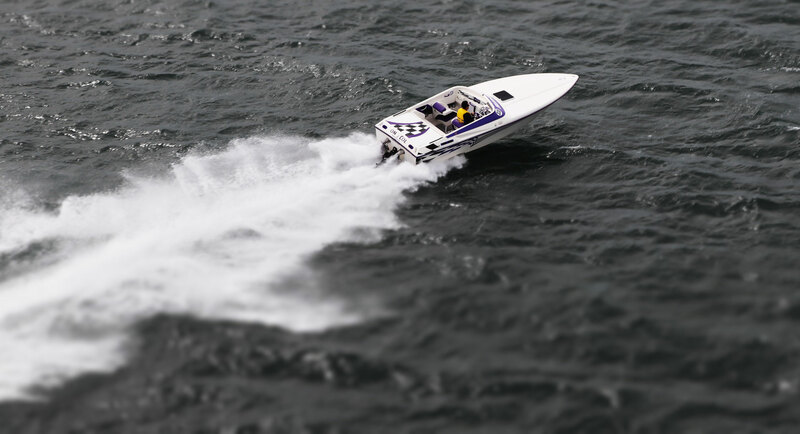 With high winds and three-foot chop, the participants weren’t able to go full-throttle, having to back off a little in order for the event to remain safe. Despite the unseasonably low temperatures and high winds, the weekend was an absolutely resounding success. 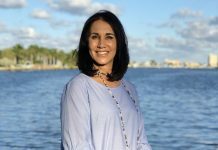 Thousands of spectators lined the shores to watch the “run what you brung” speed trial event on Sunday as well as the poker run the day before. The day kicked off with Doug Slingsby in the 30’ Spectre, Slinger Motorsports. 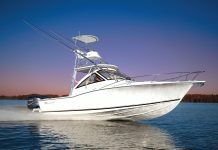 Slingsby has been boating in the 1000 Islands region for many years and is a regular sight at Poker Runs America events. 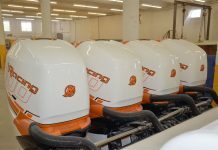 Powered by twin Mercury 300’s, Slingsby hit a top speed of 82.6 MPH. 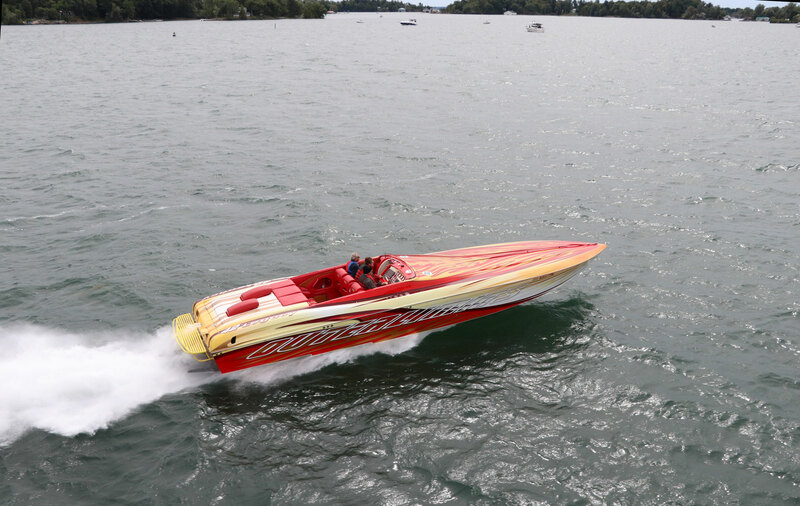 Next up was Colin Brown in his 25’ Sunsation, powered by a single 550 horsepower Mercury. 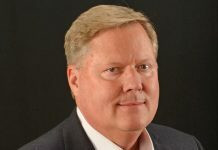 Brown is a local of the region, the son of well-known Jeff Brown, and runs the Travelodge, Holiday Inn Express and the Comfort Inn where participants of Saturday’s poker run spent the evening. Brown put down a speed of 56 MPH in his white and purple Sunsation. Then it was Neil Parson’s chance to stake his claim of the St. Lawrence. 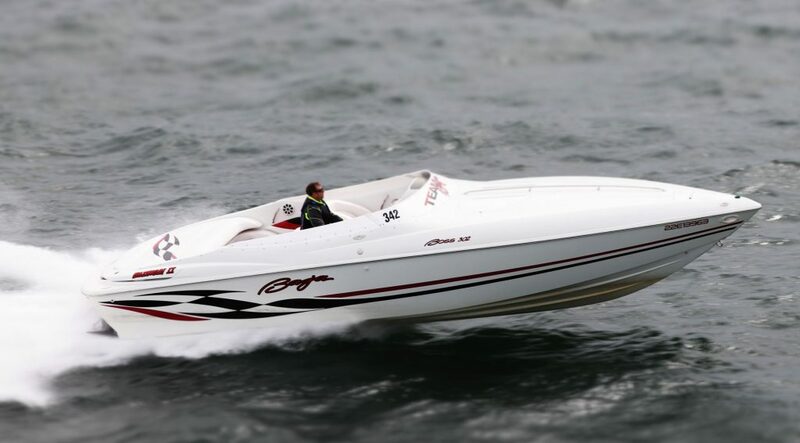 In his 30’ Baja, Bazinga!, powered by twin Mercury 454’s, Parsons achieved a remarkable 75.4 MPH. Setting a high bar for future Baja owners to challenge. 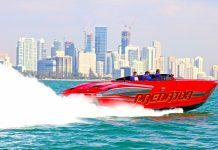 In their 2007 43’ Donzi, fitted with number 6 outdrives and a pair of recently revamped 1075 motors, Marc and Angie Davis set a blistering speed of 100.6 MPH. This blistering speed is far from the limit of the Davis’ Donzi, the three-foot chop meant they couldn’t unleash all of their horses on the St. Lawrence. After the first round of competitors attacked the St. Lawrence, a slight break was in order. 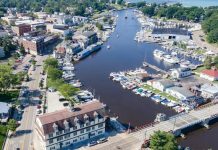 In order to comply with the other traffic on the river and keep all participants safe, the trials were halted until the ferries and other commercial traffic had passed. 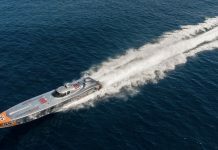 The crowds on the water were exceptionally high, but thanks to our volunteers and marshal boats, everyone was kept safe. 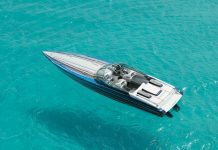 As soon as the coast was clear, Poker Runner Richard Gerth lined up at the start of the course, eager to make a pass in his 42’ Outerlimits, powered by twin 700 Mercury’s. 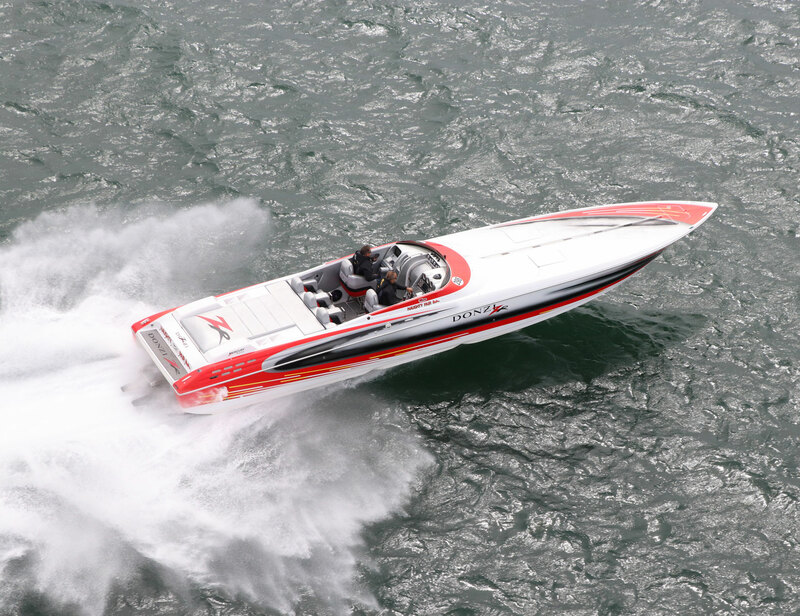 Gerth is an avid poker runner and has been involved in the performance boating world for an extremely long time and made his mark on the St. Lawrence with a blistering speed of 105.6 MPH. 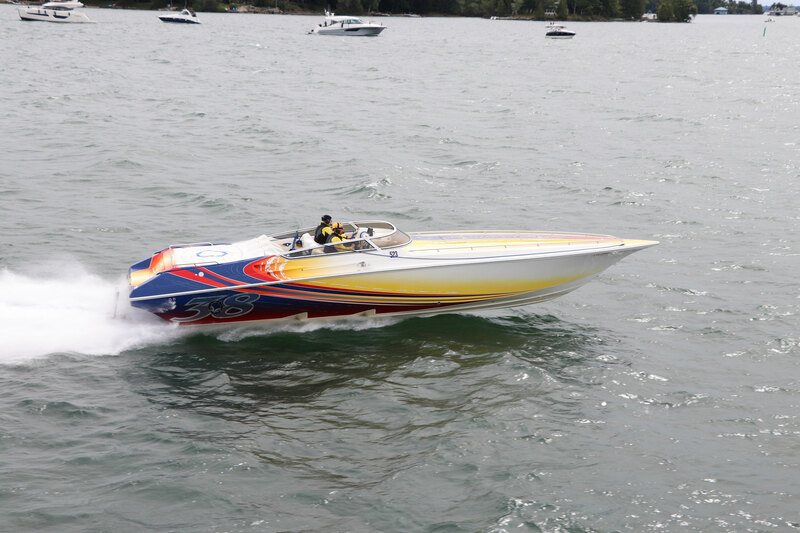 Brian McIntyre, another familiar face in the 1000 Islands region, brought his 38’ Fountain to the starting line. 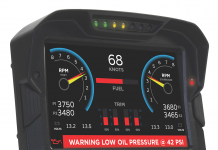 He fired up his twin Mercury Racing 700s and reached a speed of 103.1 MPH. 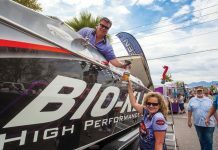 Not long after, veterans Brian and Janet Lundy lined up on the starting grid with their all-new wide body 36’ Doug Wright powered by two Mercury racing engines. Within seconds they were on plane, Powering into the strong winds, slicing through them like a hot carving knife through butter, the Lundy’s were able to achieve a speed of 108.1 MPH. Then, it was the main event, as Bill Tomlinson and Ken Kehoe took the 50’ twin-turbine powered Mystic catamaran known as My Way to the start line. 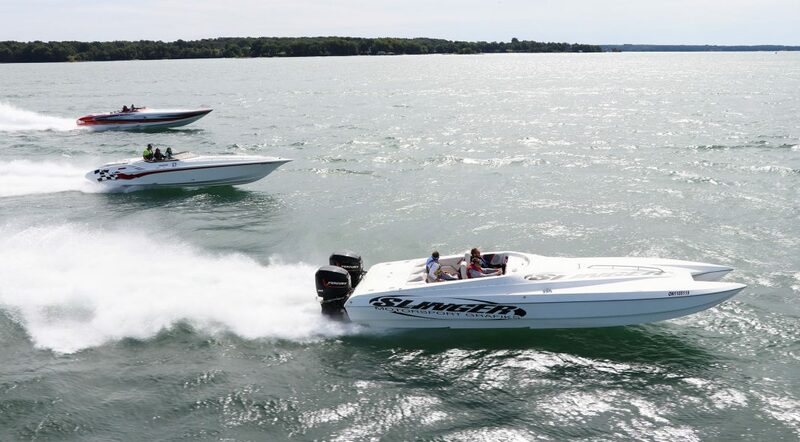 Over the past years, the crowds that have lined the shores of the 1000 Islands have always strained their neck to catch a glimpse of the Tomlinson’s turbine-powered beast or Gregg Rosen’s turbine race-ready Aqua-Mania. Walking past the crowds you could always hear the question being asked: “Who is faster?” Finally, the crowds were to get an answer this year. 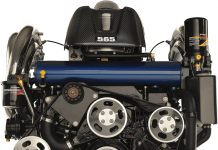 Tomlinson and Kehoe fired up the screaming twin Lycoming T-55 turbine engines, producing a total of 6,000hp. 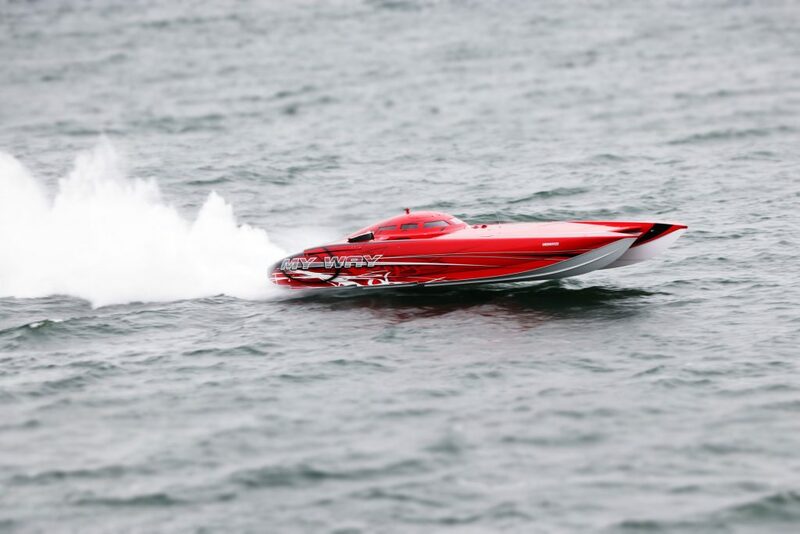 Former Lake of the Ozarks Shootout Top Guns, put a final seal on the speed trials with an absolutely staggering run of 197 MPH, securing their place as the fastest boat in the Islands. Taylor says the speed trials will be recurring, and next year, the invite will be opened to more participants.